Estella's Revenge: R.eaders I.mbibing P.eril X! These Are My Peril Pools! R.eaders I.mbibing P.eril X! These Are My Peril Pools! It's RIP season! It's RIP season! And guess what? Carl needed a little help with the event this year, so Heather and I are hosting RIPX at EstellaSociety.com! We've been so excited, we almost lost our minds. Without further ado, let's talk about the Perils! I'll be undertaking (har!) Peril the First: to read four books from creepy-to-me genres. This is my physical peril pool. Not to be confused with my digital peril pool. Right now (no really, RIGHT NOW), I'm finishing up The Library at Mount Char by Scott Hawkins, which is also suitably disturbing. 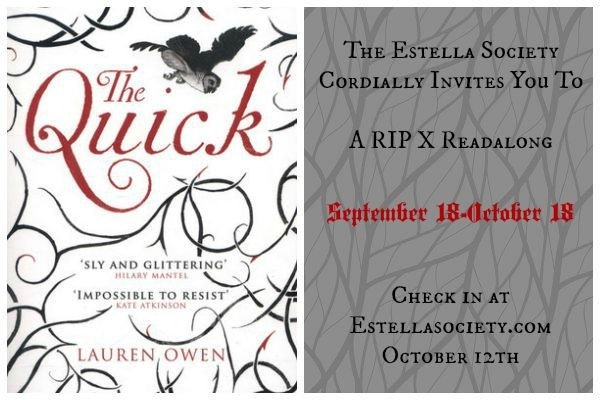 I always get a little tooooo ambitious during this reading event, but I expect I'll dip into and out of the Peril of the Short Story, and I'm totally onboard for Peril of the Group Read because Amanda, Heather, and I will be hosting a readalong of The Quick by Lauren Owen. So tell me, tell me! What's on your pile? You guys were so sneaky! I saw you discussing RIP picks and I thought, "I hope we get a RIP or these 2 are going to be real disappointed." lol! I'm glad you and Heather were plotting all this time. I can't wait to see what everyone reads. I'm going to be trying Joe Hill for the first time (besides one short story in a collection) since I was gifted a copy of Horns recently. Enjoy your season and thanks for taking up the reins this year! If this challenge died, I probably would too. Lol. I can tell how excited you are. Have fun! I'm so glad you guys are hosting! I love that you are including a Flavia in your book pile. I wish Bradley had a new one out so I can use it for RIP! I was thinking the same thing about a Bradley novel. I feel like I've included one of his for the past couple of years. For shame!! 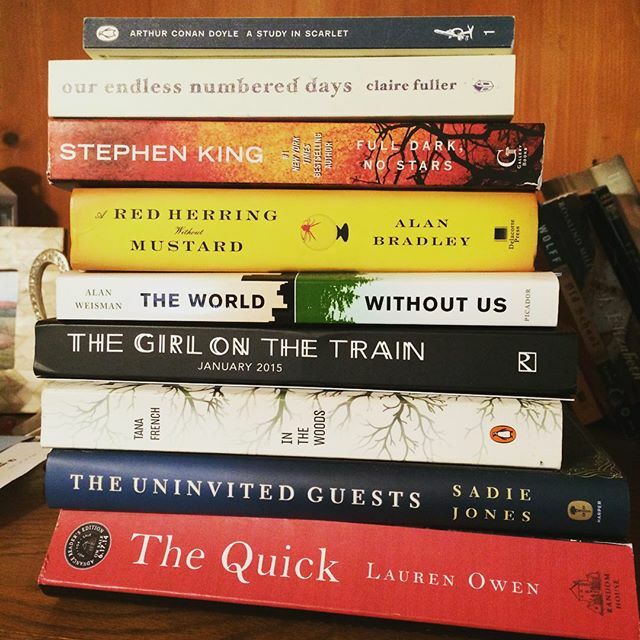 The thing about seeing everyone's RIP piles--it makes me want to add more books to my already ridiculously big stacks. I consider this both a good thing and a bad thing. ;) Hope you adore every book you get to! That's so you are hosting! I love RIP! I need to figure out which books to read :) The King book is great and so is The Quick - you will enjoy them! In the Woods (Tana French) is SO good. I also recommend In A Dark, Dark Wood by Ruth Ware. Just finished it and thought it was very good and quite creepy. Not Stephen King creepy, but enough to make me stop reading in bed one night. 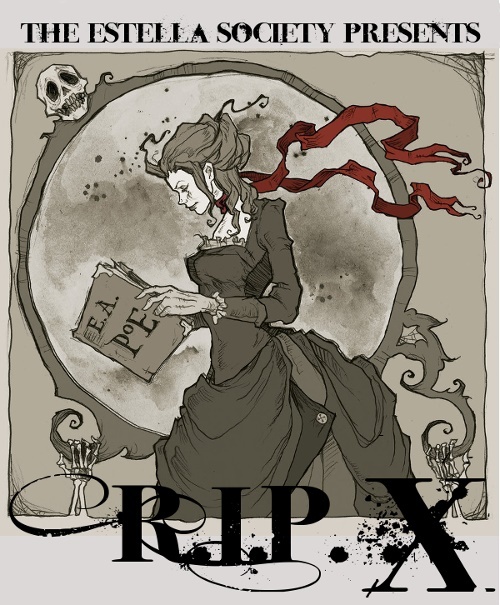 I've never done this event, but I could totally use an excuse to read some more creepy/gothic fiction. I think I need some Mary Shelley and Shirley Jackson in my life. Your stack looks great! Our Endless Numbered Days is wonderful. WHAT?!? How is that even possible. You must do it this year, Leah!!! I love your stack! I hope you love the Bradley title (Flavia's my favorite). And I totally can relate to getting a little crazy with my TBR pile for it. BUT. I do feel like I read more than normal because of it so I'm going to keep it up. Yay! It's here. I get so excited to participate in this every year. You've got some great picks. I will be joining up but have to get my post and reading/watching stuff together. I am all over the place with work stuff right now and coming unglued!! I need a day to just catch up. I love this event though and I LOVE this time of year!! A STUDY IN SCARLET! <3 I love the Sherlock Holmes stories. I don't know anything about any of the other titles, so I'll have to check-in and see what you thought. I'm excited to be "in peril!" for the first time, after following the event for so many years. Love that you snuck some non-fiction in there; Weisman's book is perfect for that. I was thinking of putting Naomi Klein's on there for similar reasons. I recently read Our Endless Numbered Days and thought it was quite absorbing; she moves between times very skilfully. As for Zone One, I ended up loving it, but I had to start it over again, because I picked it up expecting something action-packed and I found it much more character-driven (which is why I ended up loving it so much, it just wasn't what I had expected initially). Enjoy all your picks! Our Endless Numbered Days!! So good. I'm currently reading The Gunslinger, and depending on my how I'm digging it, I may continue with the Dark Tower series. But I've been planning to read The Library at Mount Char, and since you've deemed it sufficiently disturbing, maybe I'll hit that too! I'm getting lots of great ideas from everyone's TBR!! 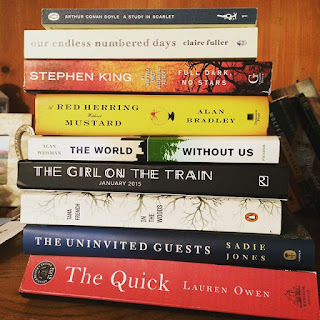 I'm definitely adding lots of titles to my TBR list - I've been loving everyone's RIP reading list posts! Need to check out the Peril of the Short Story now.